Eventually after months and months of trying , I finally managed to speak on the telephone and then meet face to face with factory Merlin rider Joan Freixas. It was great to meet him after so many telephone conversations .Joan is a busy guy. His home is near Barcelona although works and stays during the week in Alcaniz near to the Jotagas factory. The tour around the Jotagas factory was great and a real insight. A report on this is recorded else where on Retrotrials. 2 days later i arrived in Andorra de la Vela and on the morning of the trial on Saturday i went to the paddock wearing my union jack T shirt . The sun was bright and it was looking like it was going to be a hot one. I approached the large Jotagas factory Race Truck . There was a real huddle of activity everywhere as the team got ready for Pol Tarres’s ride. A line of about 10 Jotagas 300 trials bikes were there under the factory awnings. The smart custom race truck behind them sporting large pine tables . The cross member under the tables holding the wooden legs together was engraved with large letters saying “Jordi Tarres”. How cool is that? .Jordi’s kids Emily and Jordi junior were playing. The new 2013 jotagas was at the end of the awning in pride of place and getting a great deal of interest, having just been unveiled that morning. Jordi Tarres was bare chested getting changed into his riding gear. Pol and Francesa Tarres were making their final preparations. People were attracted to the Jotagas truck and awnings like a magnet. There was no fence or enclosed area keeping you away from the mechanics , riders and bikes. You could sit down at the tables and someone would offer you a coffee. It was a real back to basics friendliness that you just don’t see with the other brands. GasGas guru Narcis Casas was there along with his son in law. I really admire Narcis and we had a bit of chat . He explained that his son in law and him had just started up Motts clothing. We had a chat and a joke about his factory being 50 feet from GasGas and he just cant keep away. Narcis is such a gentleman .Shirty was over looking at the new Jotagas. Joan looked up , saw me and i imagine due to my T shirt recognised me and we welcomed me and my wife with a big smile and chat. He is a very friendly and welcoming man who has a big smile on his face all of the time. Joan’s English is good and so ,so much better than my Spanish ,but he is not confident with using it. We agreed to chat after the trial, as at that point it was Business. RT - What is your date of birth ? RT - Where were you born ? 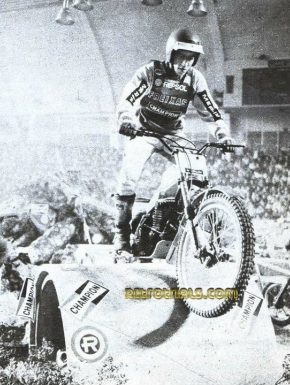 RT - How old were you when started trials riding? RT - How did you start riding trials ? RT - How many years were you riding trial before you got interest from direct from a factory ? 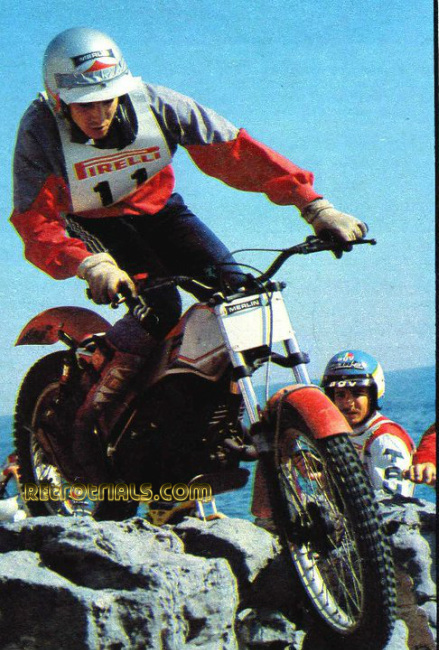 RT - How much was your first trials bike ,the Montesa? RT - How did you get your lucky break that got you riding for a factory? With the dealer in Girona . This dealer was near to my house. The first bike i have from him was an Ossa and I pay for this like normal. I then got the trials and i win , win and win. After people see this and Ossa say to me come and go the factory.At the same time when Juvanty was the main rider for Ossa ? RT - How old were you were you when you were sponsored by Ossa? 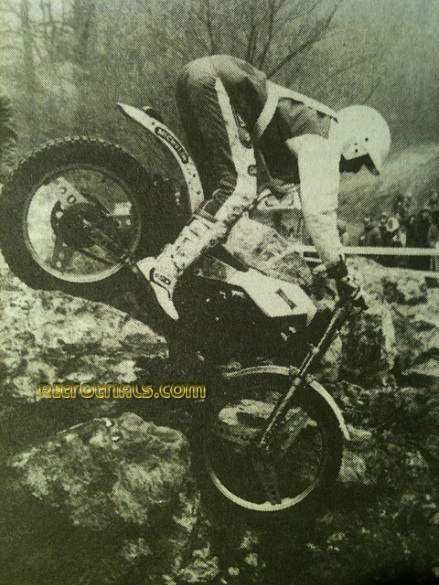 RT - Which Ossa was it that you rode? RT - What year did you start with Merlin ? RT - How you go with Merlin and why? 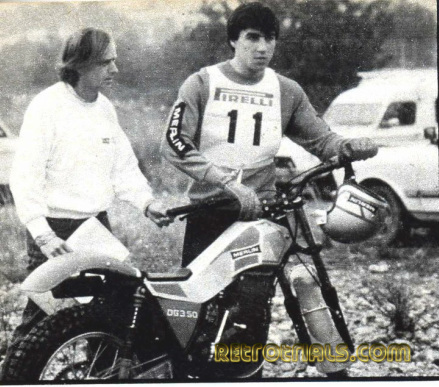 Ossa closed and Merlin start with a new trials bike . Their first bike was a children’s bike and I test and develop the first prototype trials bike for Merlin. After this I stay with Merlin . I then ride with the new Merlin bike in the World Championship and the Spanish championship. RT - Where was the Merlin factory ,when you started working for them?. Before the factory started in Girona .The first factory was made in VILANOVA I LA GELTRÚ. It is near Barcelona . The name of the first company was called "Dannig". This comes from Danni and Ignacio Bulto .It is the name of the two partners of the company . I test the prototype at the Paco father’s house and Ignacio house . I test the prototype with Ignacio there. 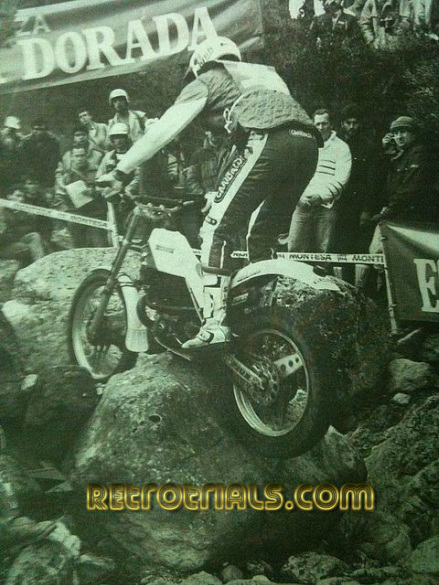 RT - Was the factory at the Bultaco house? RT - Was the factory the same size as the Merlin factory at Girona or smaller? RT - How many people employed?